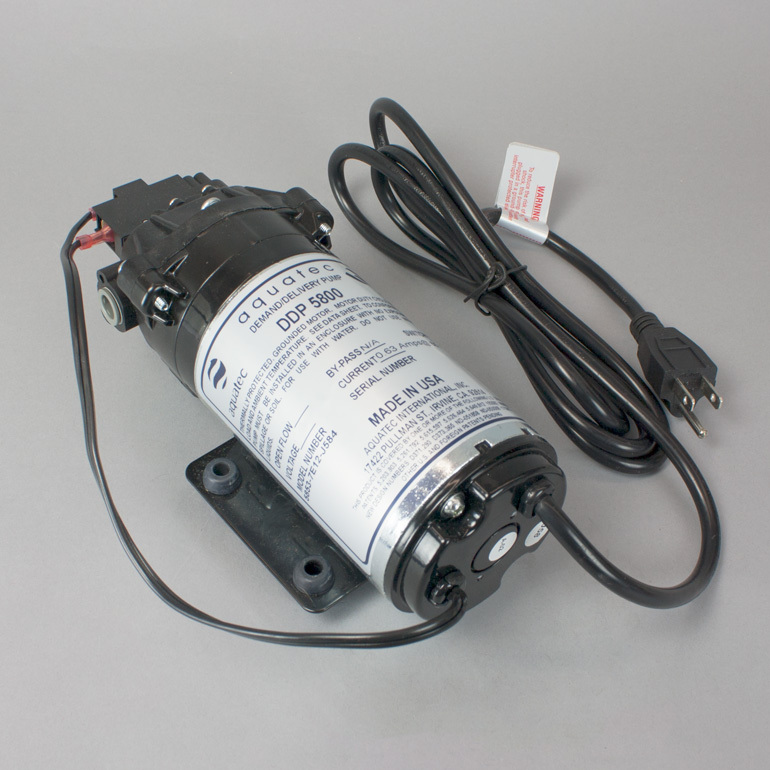 * Free Shipping to Continental U.S.
A demand or delivery pump is used to move water from a storage tank to an application — for example, to feed pressurized water to a refrigerator or a sink faucet. Pumps of this type are frequently used with distillers as well. Demand pumps have a built-in pressure switch that turns them off when a certain pressure (60 or 70 psi, depending on the pump) is achieved. This means that they pump when there is a “demand” for water (e.g., when a faucet is opened) and turn off automatically when the demand is cancelled (e.g., when the faucet is turned off). This pump comes standard with 3/8" quick connect ports, 1/4" reducing adapters can be included at no charge if requested during checkout.